This is a sample project to illustrate the CAID (Computer Aided Industrial Design) services that we can provide at Studiorola. Our primary tools include Rhinoceros 3D NURBS modeller, Vray rendering system and Alibre Design Parametric MCAD system. 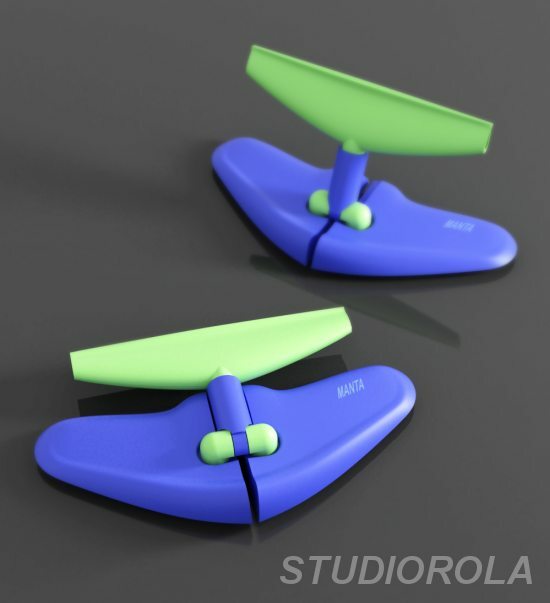 Below is a photorealistic 3D product visualisation of a product concept. The rendering is done within Rhinoceros 3D environment using V-ray renderer. The 3D CAID models that we create are not just for producing pretty pictures. They are fully manufacturable. We are capable of creating curvature-quality (G2 or higher) 3D surfaces. In layman term, this means that we can create highly organic free form designs. This requires a higher level of expertise than just generating geometrical and/or squarish forms. Additionally, where there is a need, the surfaces can be drafted with the correct draft angles to allow for injection-moulding or any other processes that require angled side walls. The screenshot below illustrates the ‘raw’ Rhino 3D NURBS model that is prior to rendering and export for downstream. 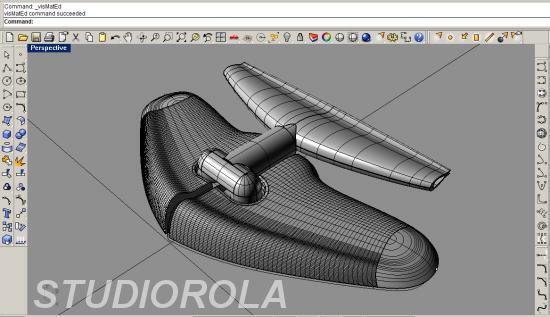 The screenshot below shows the same Rhino file being imported into a parametric MCAD system. 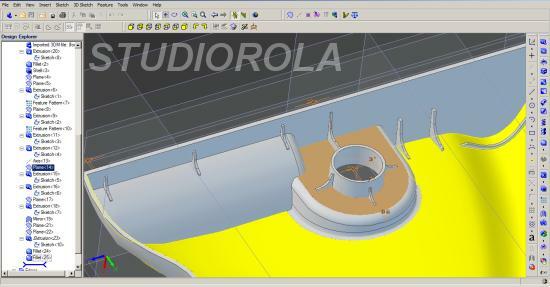 As you can see, a shell operation has being performed on the imported NURBS surfaces. This illustrates the integrity of the 3D file that we have created from Rhinoceros 3D. We have links with Mechanical Design, Rapid Prototyping, 3D Printing and Mould Tooling service providers to provide a more integrated product development service for clients. Hope this short overview clearly illustrated what we can provide in terms of Computer Aided Industrial and Product Design.